Relay and WiFi on a single board. Extremely tiny dimensions, only 36x50mm including antenna. The RLY-1601 is the smallest board in the world with relay and WiFi. Thanks to the RLY-1601 board, you can easily and quickly enter into the world of Internet of Things (IoT). The board RLY-1601 has tiny dimensions (36x50x15mm included antenna), it is equipped with the famous WiFi module ESP-12 (SoC ESP8266 inside) and with a high quality G6RL series OMRON relay. 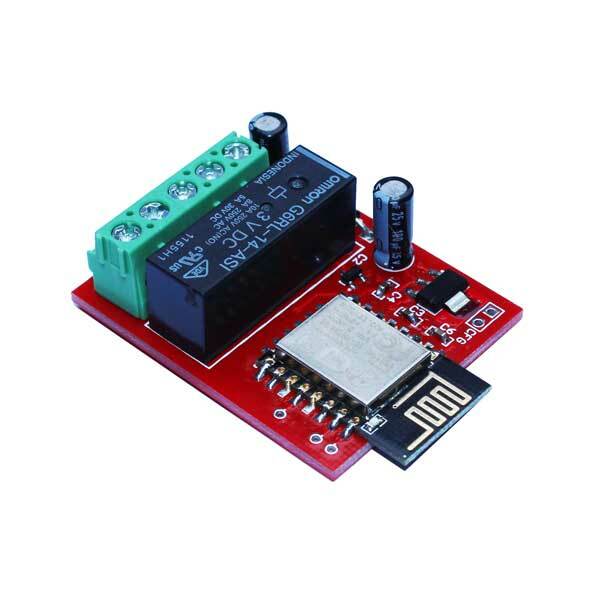 The board can be used in all the applications where it is necessary to control devices from remote, using a relay. RLY-1601 can be used, for example, to make a remotely controllable thermostat, to control a sprinkler system, to produce a remote door operator or to managed a lighting system. The only limit is your fantasy. The power supply for the board must guarantee a voltage of 5VDC and a minimum current of 300mA. During RF transmission, the maximum current absorption of the board is 300mA. RLY-1601 is the smallest board in the world equipped with WiFi and 3 pole relay (COM, NC, NO). Thanks to the WiFi, you can control from remote, everywhere you are, the relay state. You can use a PC or a smartphone to control remotely the relay. Do you want to know if the mountain home’s lights are turned on? Simply, open the dedicated Android Application for the RLY-1601 board and check the relay state. The light are turned on and you want to switch them off? Very simple. Use the App. with your smartphone to change the relay state. In fact the relay on the RLY-1601 board is completely controllable from remote through internet and it is also controllable from local through WiFi. In Access Point Mode the RLY-1601 works like an Access Point: it creates its own WiFi network to connect to. Any smartphone, tablet or PC can connect to the board directly through the WiFi network generated by the board. When the board is in Client mode, it’s possibile to connect it to an already available WLAN. If the WLAN is connected to internet, it will be possibile to manage the board from remote. 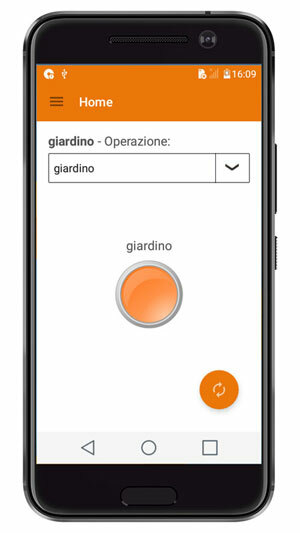 The operational mode can be set using the dedicated App. 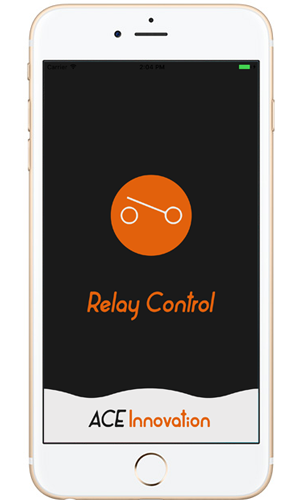 ACE Relay Control available on Play Store or the iOS App. available on Apple Store. In Client Mode every message is encrypted with AES-128. set the board ID (from 00 to 99). Different IDs permit to use more board in the same environment. set the parameters when the board is in Client Mode. The App. facilitates the use of the RLY-1601 board but every functionality of the board can be used through the APIs. The RLY-1601 firmware has been developed so that anyone, designers, students, makers, engineers or geeks, can configure and control the board using simple commands. The commands can be sent to the board using a software (e.g. Tera Term), which is able to establish a TCP/IP connection using port 85 with the board. Using the APIs you can integrate the RLY-1601 in your systems. Do you want to use RLY-1601 but you need to customize the graphic users interface for a client? No problem. Create your own graphic user interface and use the APIs to control the RLY-1601 board. So, you can only focus on important part of your system and forget the complex and low level operations conducted by the APIs, saving time and money.